Following the storming success of Petit Mal, Race Horse Company makes a triumphant return to the UK with Super Sunday. 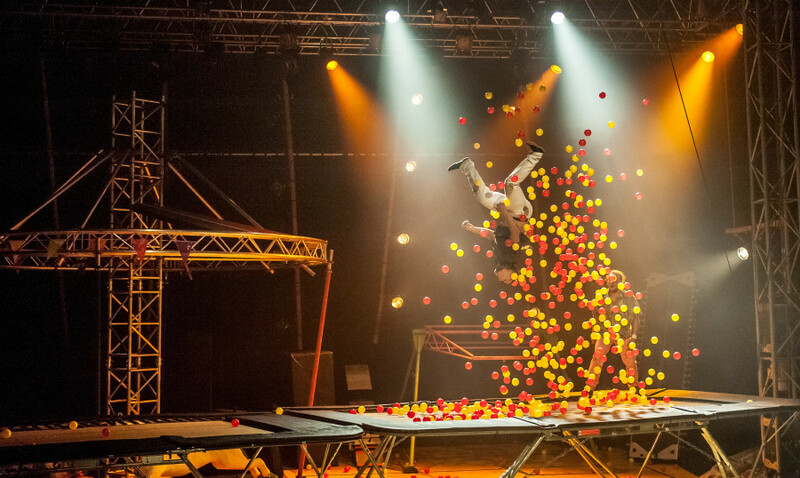 A high energy and immensely fun circus show, it takes the Company’s trademark skills of jaw-dropping acrobatics and irreverence, to a whole new level. 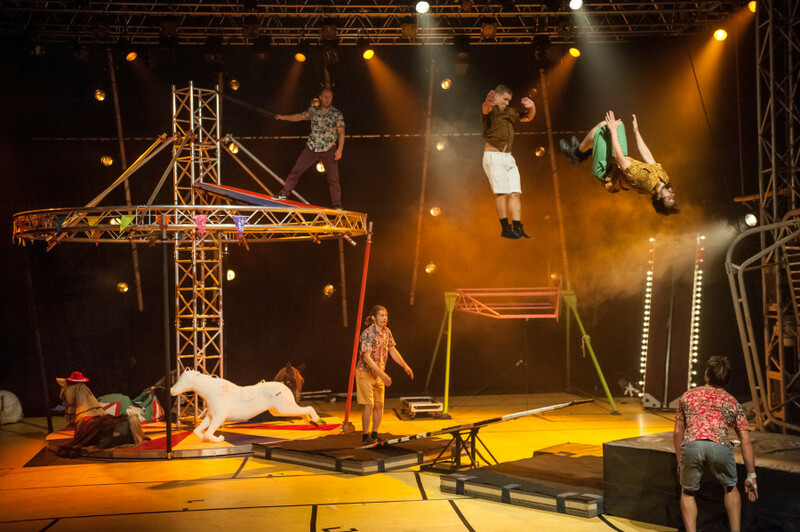 Set in a surreal amusement park, Race Horse Company takes you on a journey from utter despair to an idea of heaven. 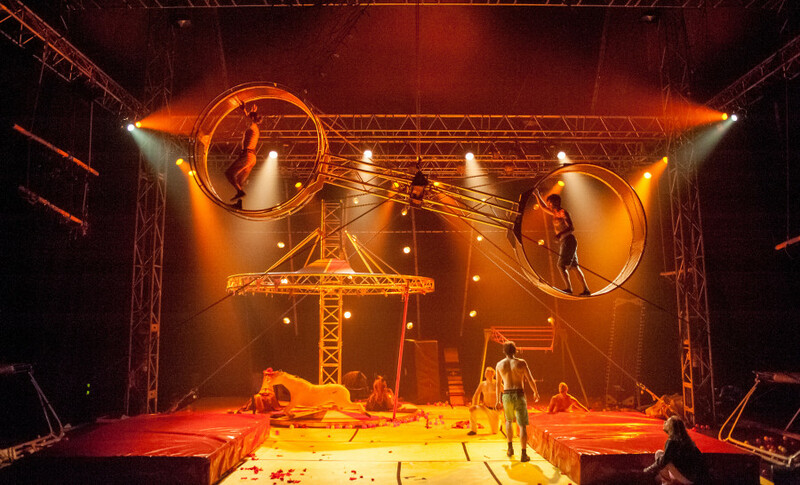 On the way, you will witness human catapults, a wheel of death, daredevil acrobatics and dark humour, as Super Sunday pokes fun at society in the 21st century. Suitable for all audiences aged 12 years and over. 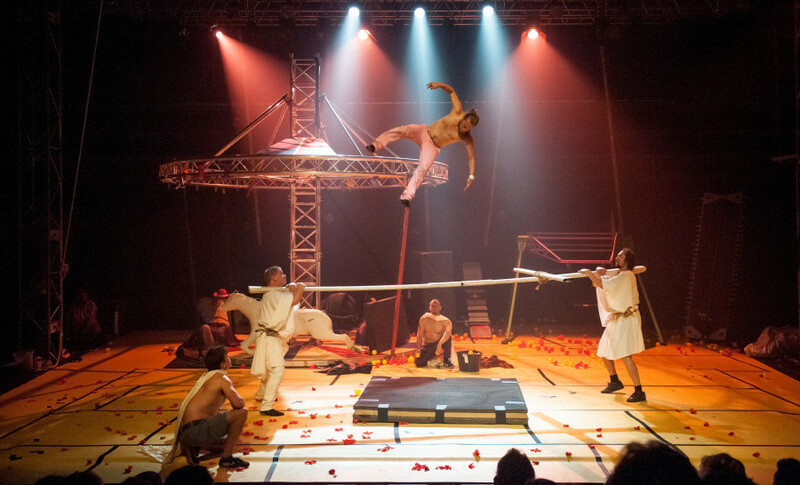 Born in 2008 out of Petri Tuominen’s, Rauli Kosonen’s and Kalle Lehto’s need to create uncompromising, personal and completely new kind of contemporary circus, Race Horse Company’s rough-and-ready performances are based on aesthetics of chaos, humour and surprise. Crying Out Loud toured their previous show Petit Mal to great acclaim.